This is Mary's City Slicker which is our Highway 10 Designs pattern. 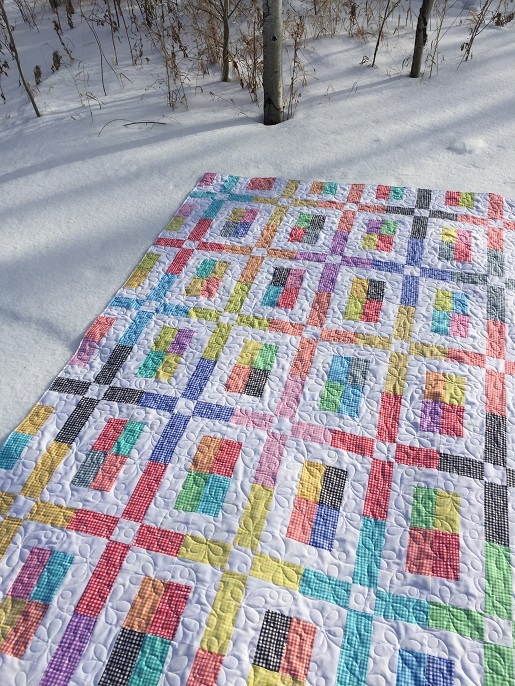 She used a sweet jelly roll of Gingham fabrics and the quilt is a wonderful reminder of warmer summer days! The pantograph is called Daisies Galore, white So Fine thread and Quilters Dream Blend batting. This is super cute! The gingham is wonderful, reminds me of when I was a kid and everything was gingham! Perfect quilting too, as always! Thank you for sharing! Super fabrics on the snow,perfect for a winter's day outing. Then roll on summer time, and have it on the porch on a comfy chair in the shade. 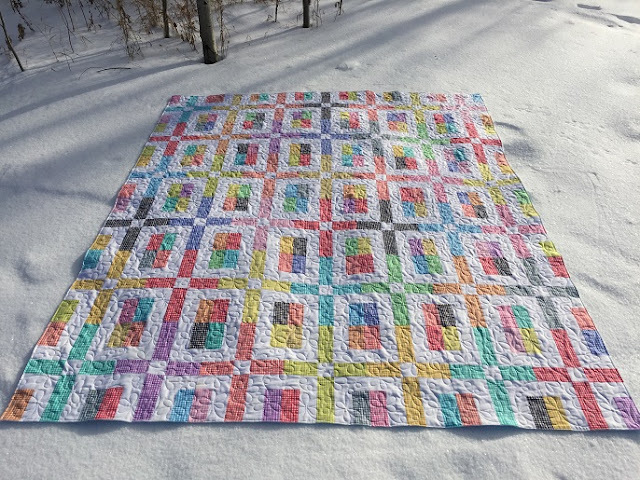 What a fun, sunny quilt! I love this pattern! A particularly sweet quilt from a very versatile pattern. Thank you for your blog. I love your work and the work of your customers. 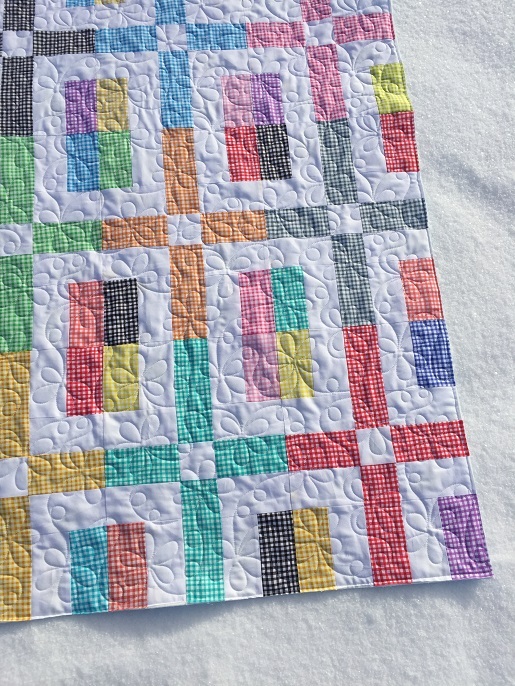 Not often we see a quilt of all tiny checks and white, but it is striking! 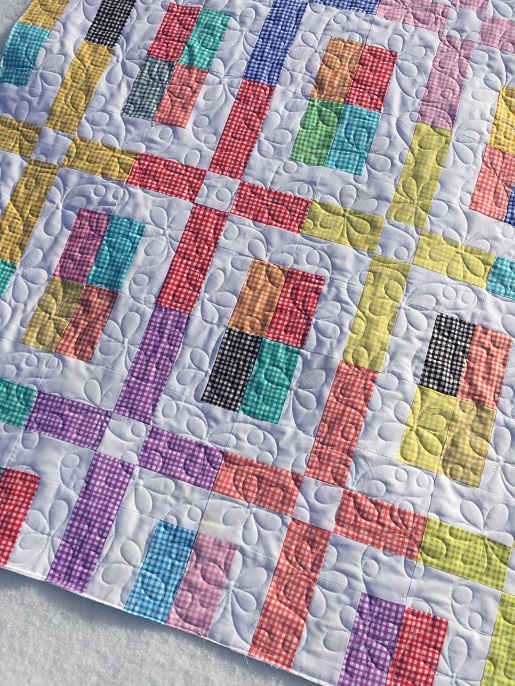 As always, your quilting is perfect for a sunny quilt! ---"Love"